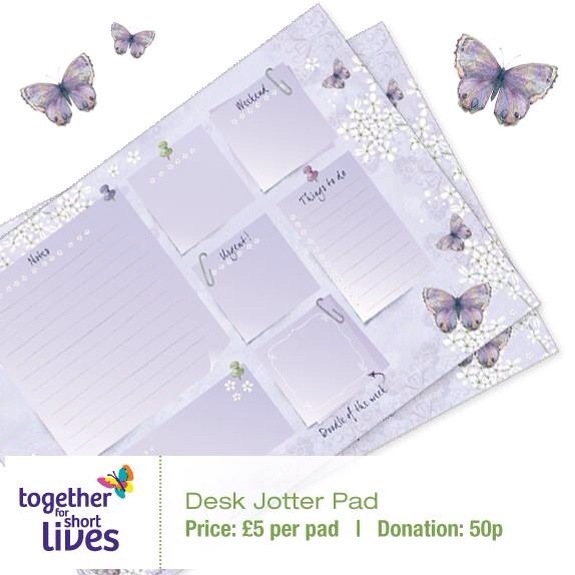 This month I’m helping to raise £50,000 for Together for Short Lives, the UK’s leading charity for children’s hospice care. 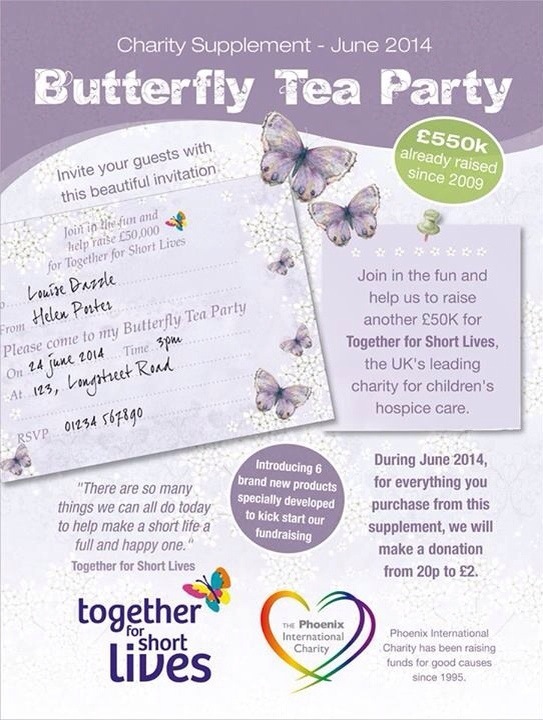 June 2014 is Phoenix Trading’s Butterfly Tea Party month. 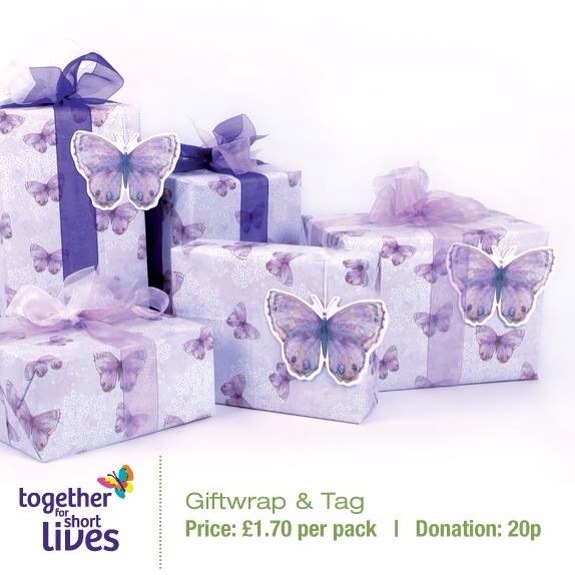 For the whole of the month, Phoenix Trading will make a donation to Together for Short Lives for everything purchased from the new Charity Supplement. 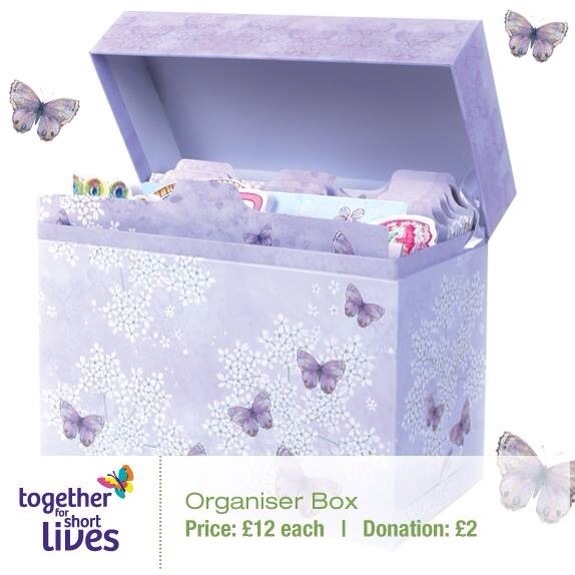 Donations vary from 20p to £2 per product. Click here to view this as an online magazine, or click here to download a pdf version. 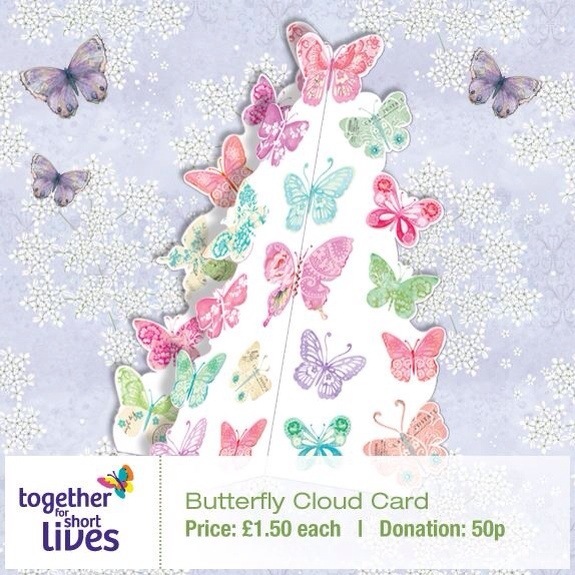 If you live in Sheffield, I still have a few dates in my diary for Butterfly Tea Parties, and if you would like to get some friends together for a coffee and a slice of cake, or a glass of wine and a few nibbles, I will happily bring around my cards and stationery. In addition to the product donations, I will be donating an extra 10% of all of my sales at Butterfly Tea Parties, to this worthy cause. 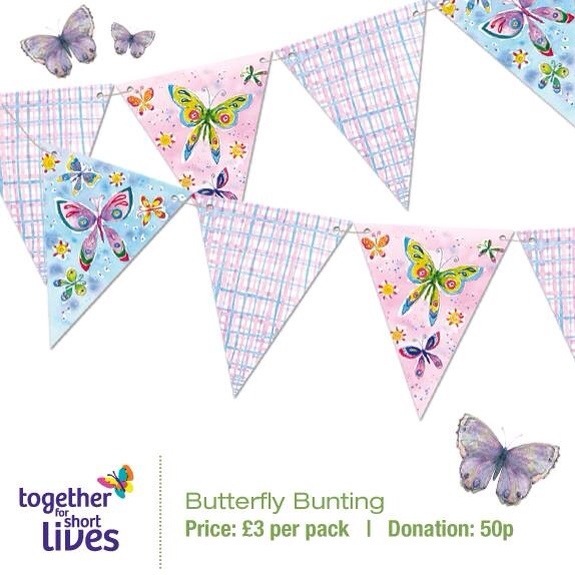 Not only will you have a chance to browse my new products and catch up with friends, you will be raising money for a wonderful charity, supporting children and their families here in the UK. 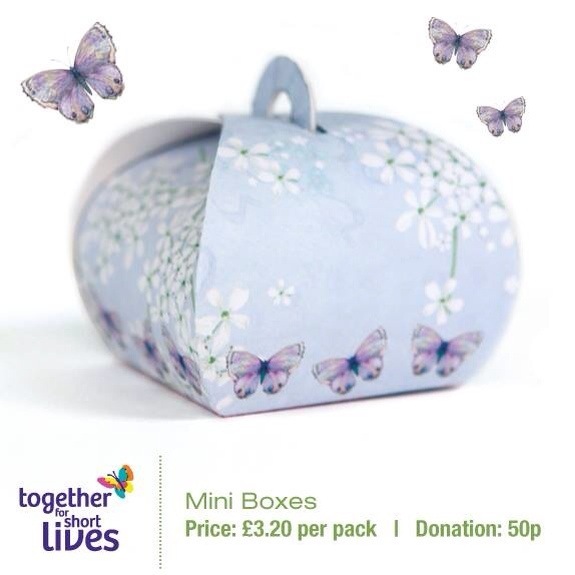 To order online just visit my website, or to enquire about hosting a tea party please email. Review about the new online ordering process. 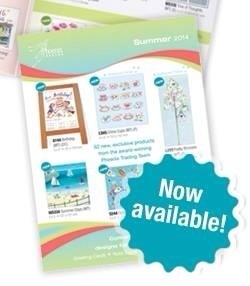 My new Summer Brochure arrived with 62 brand new products! 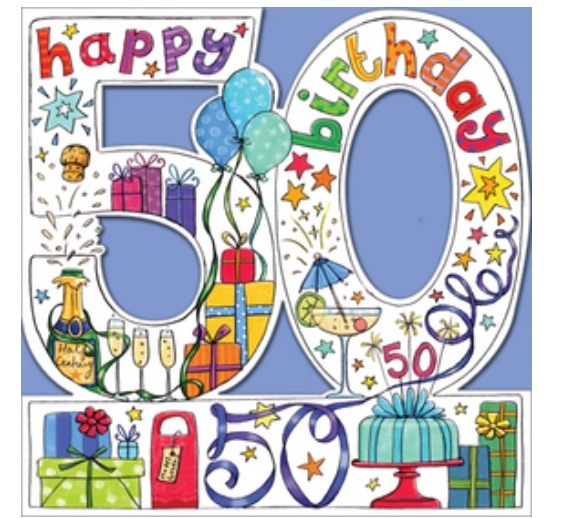 There are lots of new greeting cards, new countdown cards, age cards, some lovely gift wrap and my favourite set of Pocket Notebooks for £5 for a set of 3. To ensure you always have something original and a little bit special in your bottom drawer, I would be delighted to send you a free copy. 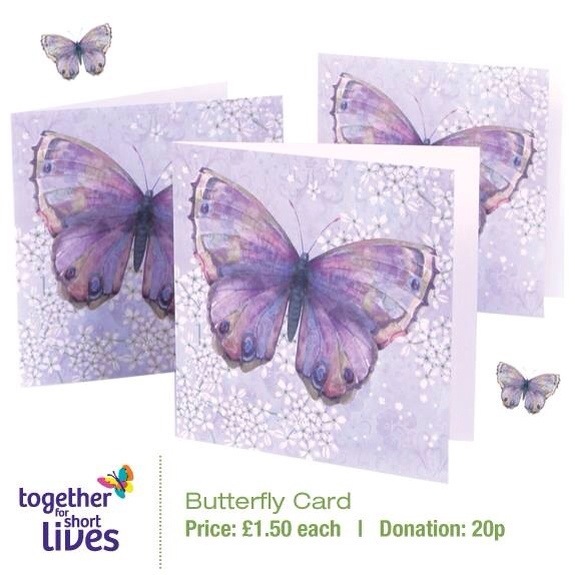 As always, everyday greeting cards cost £1.50 each, or £1.20 each when you buy 10 or more together. To order, please visit my website or contact me directly. 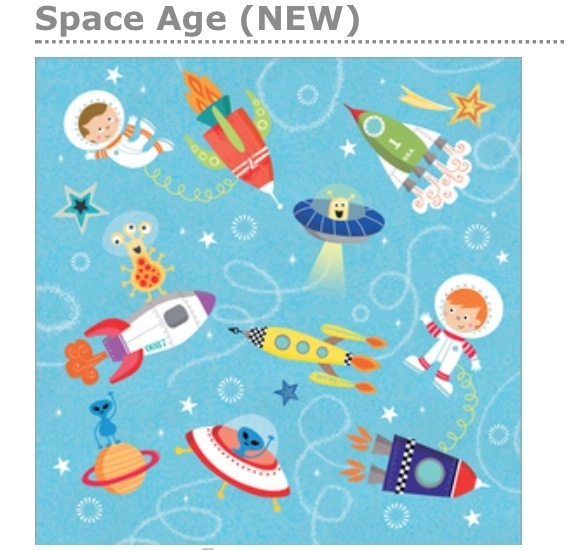 My New Spring range from Phoenix Trading is now here! 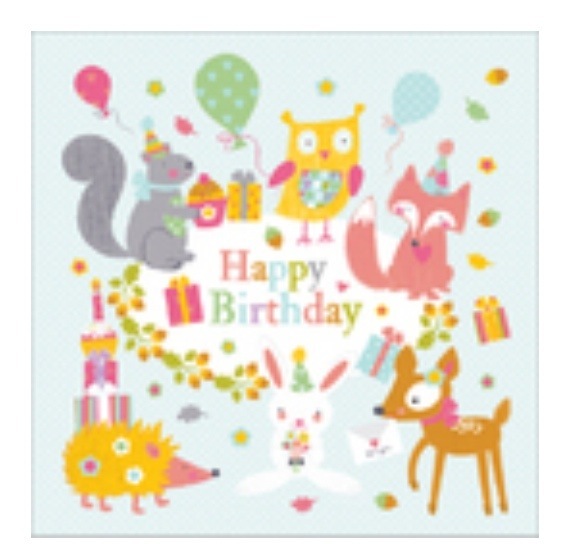 With Spring in the air I am delighted to launch my new Phoenix Trading greeting cards and stationery products! There are 55 brand new products all together, and I love them all! Please contact me if you would like to receive a copy of my new Spring Supplement. If you’d like to get a few friends together for a coffee I’d love to come along with my cards – that way you can see the new range I have available for ‘real’. Please get in touch and we can pencil a date in the diary, and, likewise, if you’d like to place an order, or you’d like to find out more about my business, I’d love to hear from you. Recently my Phoenix website was upgraded, and the upgrade meant that my customers could now purchase their cards and accessories directly online through a secure visa/mastercard transaction! 1) Ease of ordering. Please describe how easy it is to navigate through the menu’s on the e-commerce website. Pretty simple, I ended up just working my way through the left hand menus to browse all the products on the site. There are a lot there and I think it would definitely be easier with a brochure in hand but I think I managed to have a look at most products. 2) Did you find what you was looking for? Most things yes and a few more than I expected too!! I was disappointed that the Great Britain colour in map was sold out though as that looked fantastic. There was no indication of when it might come back into stock either. 3) How was the checkout facility on the website? Very simple to use, really impressed. 4) Did you receive an email confirmation of the order? 5) Did you receive a despatch confirmation? 6) Did the goods arrive on time? 7) How was they packaged? Arrived safely? Well packaged – no damage to any of the contents – was slightly worried as I had to cut open the packaging to get into it and was worried I might damage the cards inside but it was ok in the end. 8) Would you buy the cards again? 9) Would you recommend me to your friends? 10) Are you interested in the business opportunity yourself? 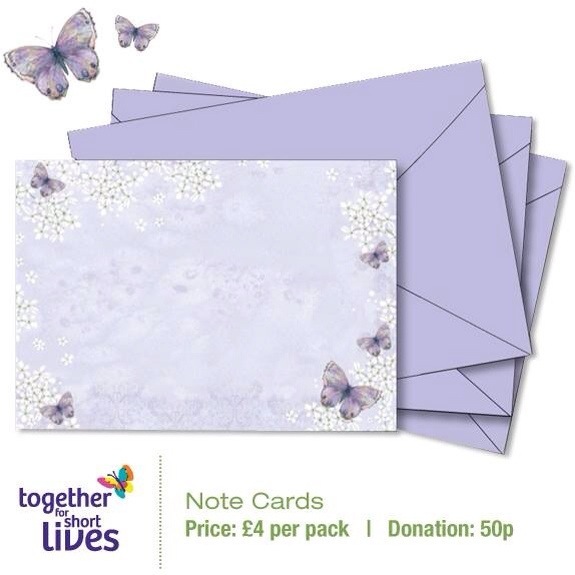 Jo ordered a selection of cards and notecards and spent £20 on her order in total. I’m really pleased that everything worked out well for Jo, and I hope to welcome her as a future customer. I’m happy that the online facility is working properly and that deliveries are arrving safely. I will be passing the comments back to Phoenix Trading about including a due back in stock date on the website for anything that is out of stock and ways of speeding up deliveries to within 5 business days. Look what I got for free this month! I’ve just earned all the stuff in this picture for free! Phoenix Trading HQ made us a fantastic offer for the new year, and if you are thinking about joining Phoenix as a trader, you will be eligible for this offer too. All traders who achieve over £150BV (sales at trader cost) will receive the following new products, worth £46 at retail value from the new 2013 brochure, absolutely FREE. I love my job! Anyone joining before 31st January will have 30 days from joining to achieve 150BV to earn their £46 free gift. And if you join with an Introductory Pack 3, you will automatically qualify and receive your free products alongside your Business Kit. What better way to get started in business?! Find out more on my Phoenix Website. Why not talk to me about becoming a Phoenix Trader? Or if you know anyone else who may be interested in joining then please reblog! Apologies for the lack of posts on here, I’ve been very busy this year with all the new Card & Wine parties I booked in the run up to Chirstmas. This year I offered my customers a free gift wrapping demonstration if they booked a party, and this was a great sucess story for me. My customers loved the additional tips they picked up such as the basic tips for wrapping, some floristry bows and wrapping wine bottles. Fingers crossed for next the next party I book as I’m going to roll this out permanently due to its sucess. After my busiest ever sales period in my Phoenix business history, its now time to chill out and relax in January (not)! 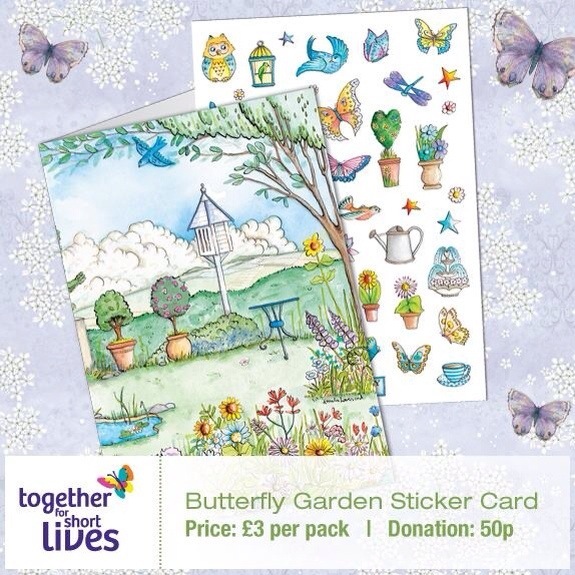 We have a new 2013 brochure packed with new card and stationery designs from the Phoenix Trading range, a new sponsorship initiative for new traders and an incentive to earn 150PV in January to receive £46 worth of free products. On top of all that, I have 50 brochures to prepare with sample cards to post and distribute too! I think I’ll have a busy January ahead don’t you?! When I received my copy of the new brochure in December, I was so thrilled to read through it! 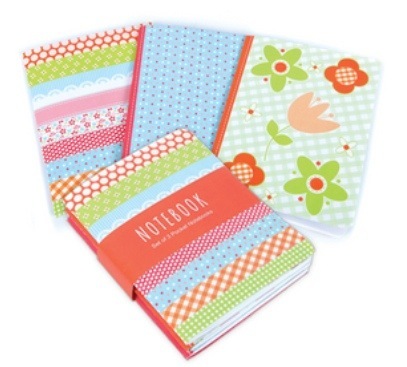 Its in a great new colour scheme, new silk finish pages, index page, and my new favourites are the greeting card planner and order form located on the rear pages. My customers will love these new additions, and especially seen as the brochure is much easier to navigate through than previous editions they wont be able to put it down! 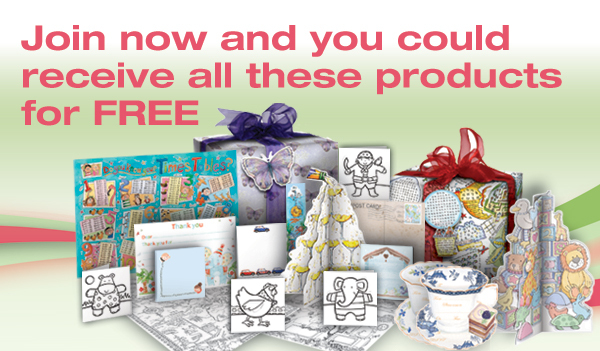 In January if you register yourself as a Phoenix Trader then you have the additional opportunity to receive a free gift which includes £46 worth of free products from the new product range. All you have to do is achieve 150BV in personal volume within 30 days of joining and Phoenix will include the free gift within your qualifying order. 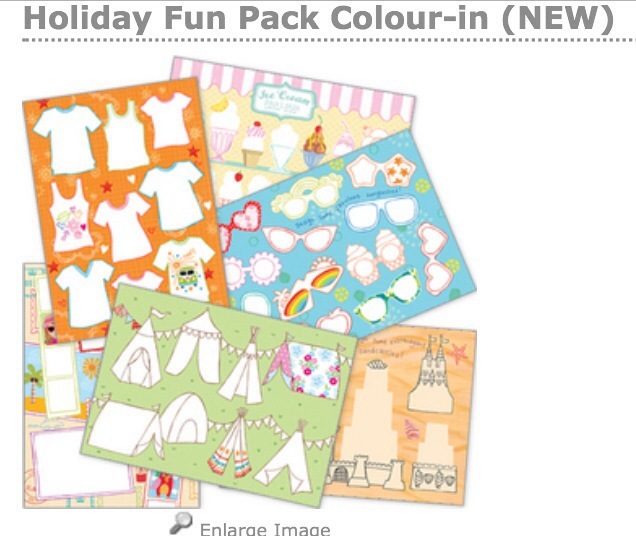 If you join Phoenix with a pack 3, for example, Phoenix would ship your free gift with your business kit on day one. This should get anyone joining my team onto a fabulous start. If you would like to speak to me about becoming an Independent Phoenix Trader, then please contact me or view the attached link for more information. Wishing all my customers a great 2013.